Distinctly pink avifauna that survived Hurricane Irma find a night roost under the sea grapes. 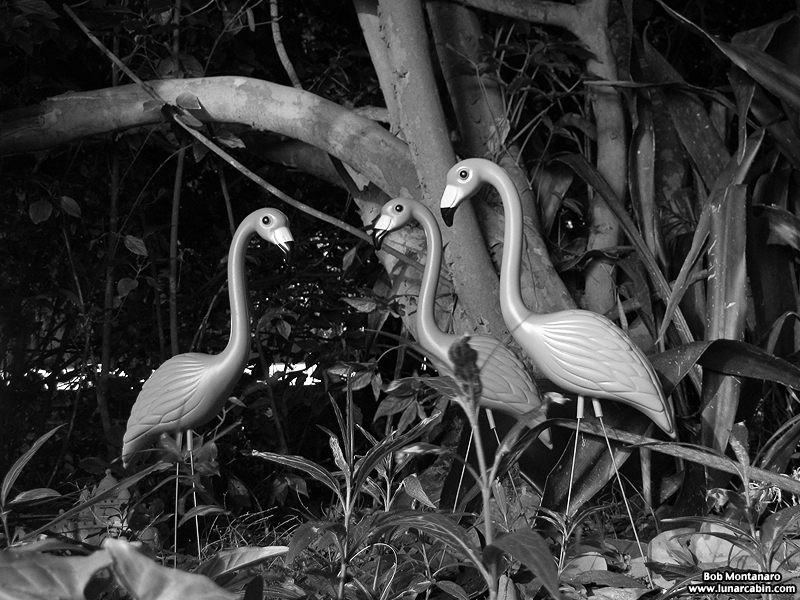 These Pink Flamingos are very habitat specific and thrive in a a well landscaped environment although their presence may alarm the fastidious. The bird’s rugged tackiness and artificial plasticity have expanded the bird’s range far beyond Florida yards. Conservation threat: none – except from angry neighbors.